Computer applications professionals learn networking, integration, server management, and the use of computers in the business world. 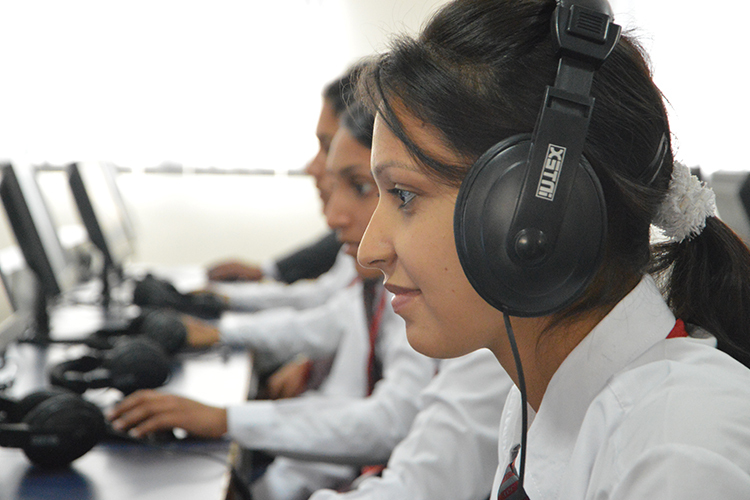 The basic objective of courses in Computer Application is to train students in the use of various software for Commercial and Industrial applications. The Computer Application courses include a lot of practical oriented teaching methods including live project work under the guidance of faculty members. The teaching includes use of various audio visual aids for use of PPT slides, videos, live discussions and online demonstrations. The students are given additional hands-on training in programming skills, database management and networking. The teaching methodology also includes industrial visits for specific training wherever employability skills and scope can be enhanced. Internet facility is available round the clock through out the campus. The teaching includes use of various audio visual aids for use of PPT slides, videos, live discussions and online demonstrations. The students are given additional hands-on training in programming skills, database management and networking. The teaching methodology also includes industrial visits for specific training wherever employability skills and scope can be enhanced. Internet facility is available round the clock through out the campus. Bachelor's degree or its equivalent examination in any stream conducted by a recognized Board / University / Council.